Today our WOTW is media maven Amina Smith. When she's not in front of the camera reporting from the sidelines or dishing the latest in entertainment news, you can find her in the boxing ring! 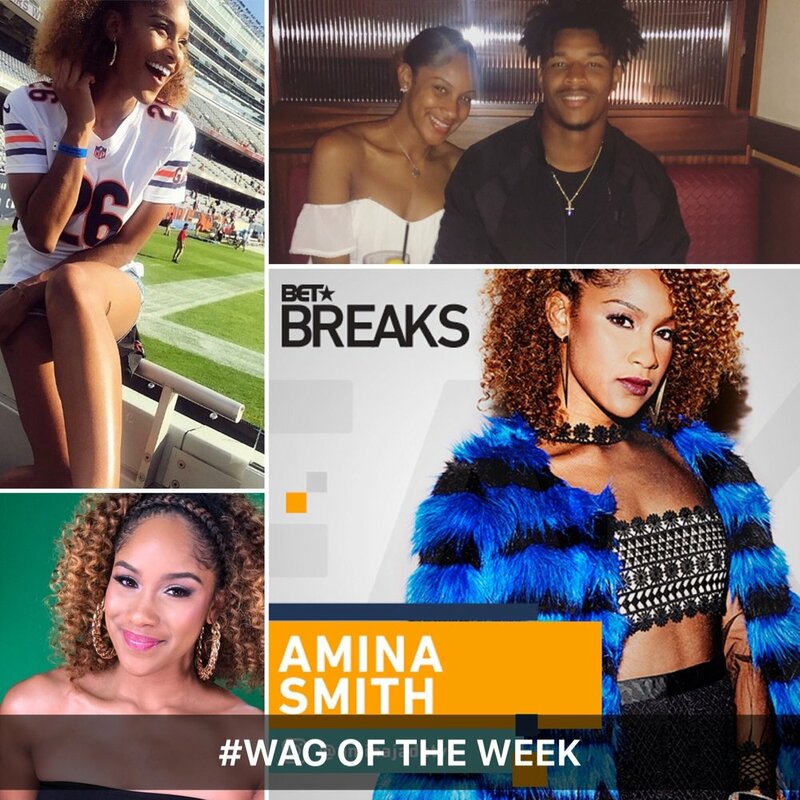 She's the girlfriend of Chicago Bears Safety, Deon Bush, and loves to travel to different countries throughout the year to give back and experience different cultures. Read more about this talented beauty below! I'm originally from Brooklyn, NY. I'm a city girl to the core! I spend most of my time traveling and working (most of the time they're one in the same lol). I travel a lot for work! I cover sports and entertainment and both take me all over the country. I'm not sure if there's really ever a "typical" day for a reporter. One day I can be working in NYC, the next in L.A., and the next I could be in Chicago waking up to do a morning show at 2:30am! It's definitely a life of organized chaos. I have two style icons, Rihanna and LaLa Anthony. I love how they both can get glammed up and steal the show, but also dress it down and still slay! My most recent projects include appearing as a regular host for BET Breaks, covering MTV's VMA's, and reporting for Chicago's brand new morning show The Jam. My favorite quote is: "Hard work beats talent when talent doesn't work hard." Well said from a WAG who possesses both! We are SO here for it!! Catch more of Amina and her next media move on social media @aminajadetv.